We are pleased to announce the Bay Area Fall 2017 class. 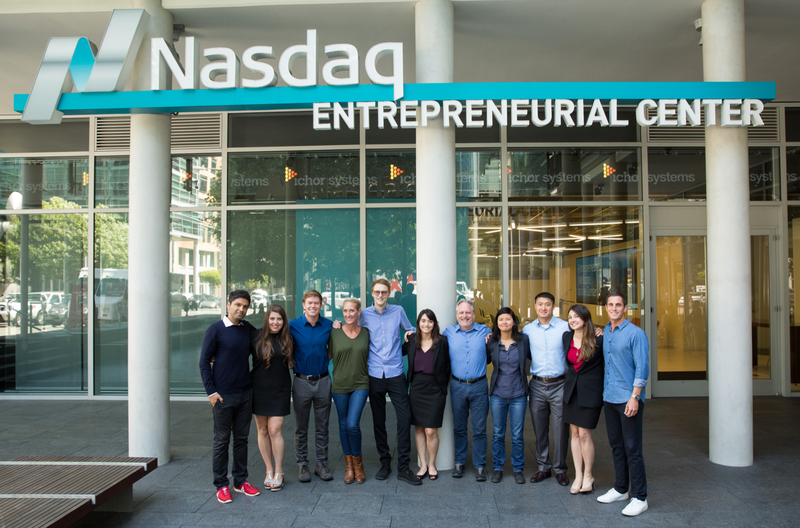 At the Nasdaq Entrepreneurial Center, we’re committed to investing in the individuals taking big risks to solve problems in new ways. That’s why we created Milestone Makers, a way to help late-early to mid-stage entrepreneurs set, hit, and celebrate milestones critical to company growth. In less than a year, the Center has graduated 38 high-talent Milestone Makers from all over the world. To continue in this exciting journey to accelerate founders’ growth, we are thrilled to introduce our fourth cohort of 11 high talent entrepreneurs representing seed, early and mid-stage companies across industries. Each founder has set a milestone crucial to the development of their business, and will spend the remainder of the 12-week program working with our community of business coaches, mentors and trainers to hit then celebrate their radical achievement. Katerina Axelsson, Bottlefly, Inc., Adam Bolden, Sweat Tailor, Michelle Cunningham, Chalet, Alexander Durrant, JigTalk, Gala Gil Amat, YellowFinch, Kimberli Haris, Fairyella Ice Pops, Grace Leung Shing, Startwise Inc, Tyler Moyer, CooMo Travel, Evin Ollinger, Golden, Ehsan Saeedi, Gate Labs, Alex Schmotter, Phenoh Inc.
Stay tuned as we’ll feature our Milestone Maker candidates across our social media in the coming weeks. Be sure to follow the Center on Instagram and Twitter @theCenter to see their stories.